In California, when your air conditioning breaks down it can be extremely uncomfortable for everyone in your home. If you have not been expecting the unit, then it can be even more disheartening, as you struggle to get some response from the device. In despair, you might decide that you need to call in an emergency AC repair team from Glendale CA. If you can’t resolve the issue by yourself, then it is better to have the experts dealing with the problem. They will be able to tell you whether something can be done, or if your machine needs to be replaced. In many cases, the reason that the air-conditioning has failed is because it has been overused without being properly cared for. If you have not had an annual service for some time, then the unit may have been struggling for a while without you realizing. The failure can start when the machine stops blowing cold air through the room, or when you start hearing other noises that indicate that the machine is struggling. It can get to the point that you are anxious to cool down the room but are afraid to turn on the air-conditioning in case this is the moment where it fails completely. This is when you need to call a repair team. When you bring in the air conditioning repair team, they are likely to ask you some questions about the reason for the call, and the condition of the AC unit. You might tell them that there is no cool air being produced by the unit or that there is an issue with the functioning of the machine so that you can hear the fan spinning around awkwardly, as an example. They will then start to examine the air conditioner, probably removed from the wall so that they can look at it more carefully. 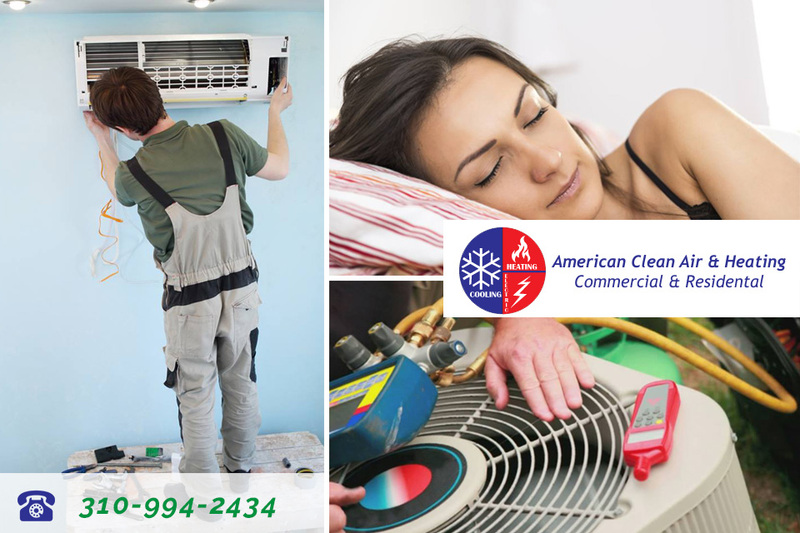 At the end of the day, the reason to call in an AC repair Glendale CA is to get your air conditioner functioning again. This might be possible, particularly if only basic troubleshooting is required, but if you have some more serious problems, then the team at American Cool and Heat might replace your existing unit. To talk to a member of our team about your options, contact us now, or call 818-406-6000 today.